John Shuster, after falling to 2-4 and seemingly destined for a third straight Olympic failure, walked his family to the far exit of the Gangneung Curling Center late last Sunday night, put his 2- and 4-year-old sons on a bus and let his wife say everything she possibly could. "To talk me off the ledge," Shuster said. "I didn’t respond much." Shuster made his way to a grassy knoll after that defeat to Norway. He peered at the outside of the Olympic venue adorned with those five rings. "I’m getting my heart broken by this sport," Shuster told himself. "This is silly." Shuster had no problem sleeping that night. He woke up, checked social media (which he swore he wouldn’t do here after a nightmare past), and found the story of Dan Jansen. Jansen, an Olympic speed skater, failed at two Olympics, just like Shuster, then took gold in his last Olympic race in 1994. "He got back up, and he wrote his story, and he’s an Olympic champion," Shuster said. "I’m so proud I was able to do something similar." 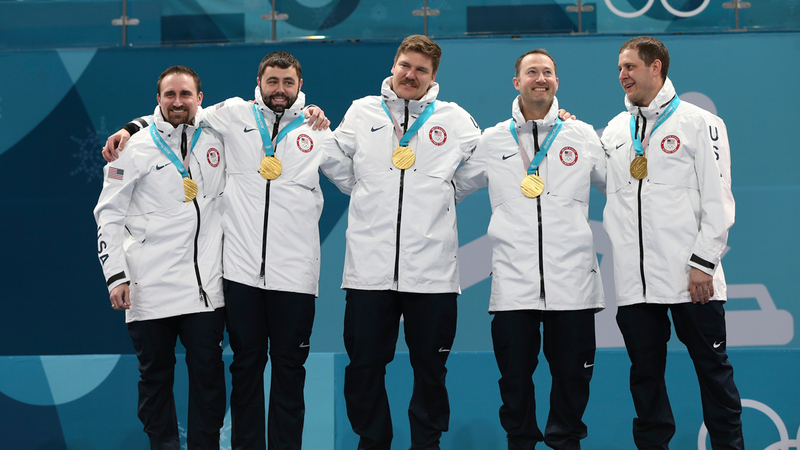 Shuster stared his past failures in the face and on screens at these Olympics and grabbed gold with a team that dubbed themselves rejects a few years ago. 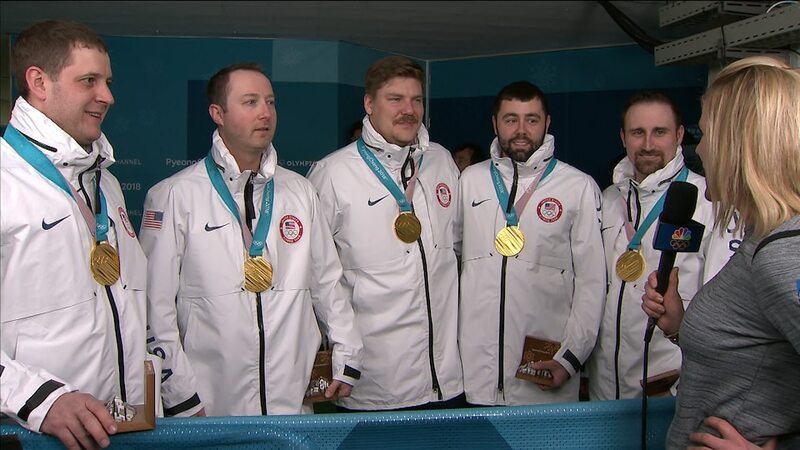 One loss from elimination, Shuster, Tyler George, Matt Hamilton and John Landsteiner won five straight games over six days to capture the U.S.’ first Olympic curling title with a 10-5 victory over Sweden in Saturday’s final. In an Olympics of improbable results – think Ester Ledecka, the German hockey team upsetting Canada and Mikaela Shiffrin and Marcel Hirscher missing the slalom medals – this one came on the last full day of the competition. 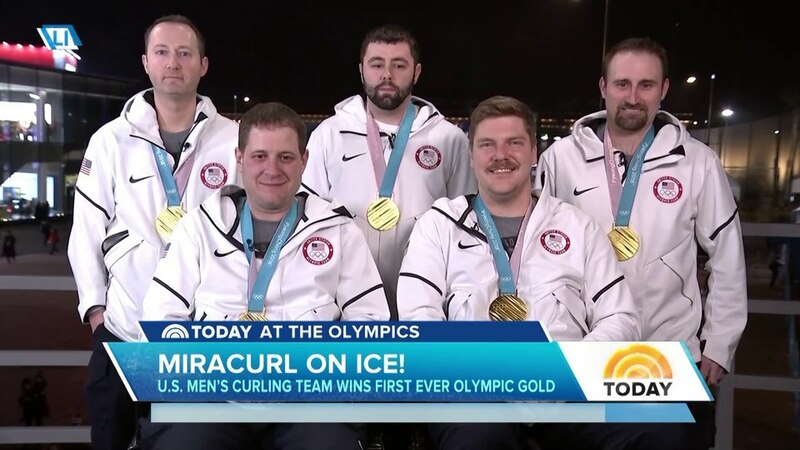 The last two U.S. Olympic teams led by Shuster went 4-14, and though this new Shuster team won a world bronze medal in 2016, it was not considered an Olympic medal favorite. In 2006, Shuster was an Olympic rookie on Pete Fenson’s team that took bronze, the first U.S. Olympic curling medal. Shuster decided he wanted to lead (or skip) his own team, so he branched off. He won the 2010 and 2014 Olympic Trials, but his teams finished last and next-to-last at the Games. Shuster received the brunt of social media ridicule from fans of a sport that gains a cult following every four years. His name became an Urban Dictionary verb for failure. In 2010, Shuster was briefly benched. Not just demoted from skip, the man who leads strategy and throws the most important rocks, but taken out of the four-man lineup altogether. Shuster said his own poor play, missing critical shots, cost the 2010 team three games, according to The Associated Press. Coach Phil Drobnick was the man who delivered the news after a team meeting that Shuster was out and Plys was in. Shuster spent the next game sitting next to the U.S. staff, watching Plys take his spot in the lineup. Here on Saturday night, Drobnick and Brown gave standing ovations to Shuster’s team after a five-point, double takeout from Shuster sealed gold. They stepped down from the box a few feet from the ice and hugged the team members before the medal ceremony. “The heartbreak twice, two teams,” Drobnick reflected after. “[Shuster] handled it as well as he could handle it and learned from it. He has made himself into the best skip in the world. Both Drobnick and Brown called Shuster the greatest U.S. Olympic curler of all time. Ever want to learn how curling works? U.S. curler Matt Hamilton explains the sport using Legos. Shuster was asked to pick out a memory of his journey at past Olympics that made this victory sweeter. He didn’t pick 2010. He didn’t pick 2014. They all sang. It capped a day and week that they’ll never forget. Back home in the U.S., support swelled during the five-game streak. It reached Shuster, who noted before the Olympics how horrible the social media vitriol was in 2010 and said, “As soon as we start our first game here, Twitter or any social media where people are going to be trolling will be turned off." But Hamilton and his mustache gained a cult following as he played mixed doubles with his sister before the men’s tournament. Shuster peeked at all the fuss and noticed something else. People curling in their backyards after watching the men’s team play. Mr. T tweeting that he was a fan (and later calling them Saturday morning, as did Jansen). The actress Kirstie Alley getting into a Twitter spat with the team account handled during the Games by a USA Curling video man. George, a 35-year-old liquor store owner in Duluth who laces up eight-year-old Skechers, said the team never talked about 2010 or 2014 after forming three years ago. But in the back of his mind he wanted this badly for Shuster.